If you read The National Electrical Safety Code blog you learned that the NESC sets a safety standard for installing, operating, and maintaining electrical power and communication utility systems. The NESC covers how to properly maintain power substations, power and communication overhead and underground lines, and more. 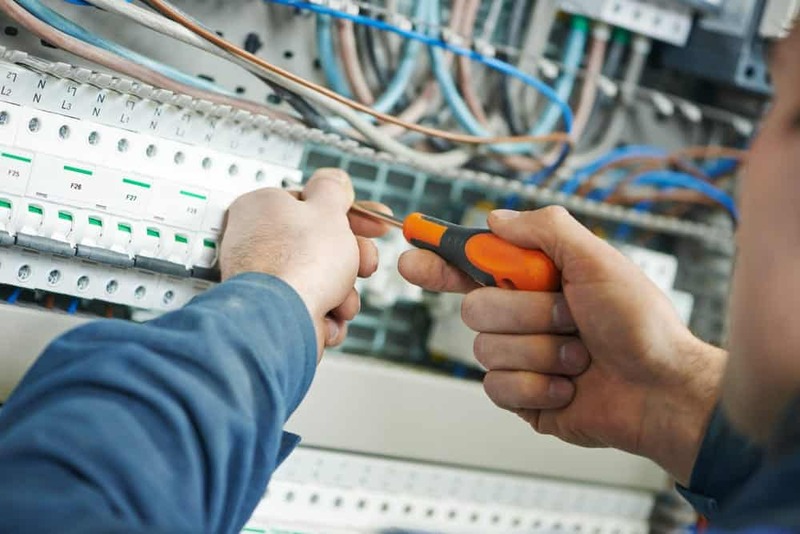 Now, you might think, “I’m not planning to install, operate or maintain a power substation.” No matter how large or small-scale your electrical project, however, it’s still a good idea to follow the code. The only problem? The most recent NESC Handbook is hundreds of pages long! It includes codes, graphs, illustrations, explanations and all kinds of stuff you don’t need to know. What you really need to know about are NESC violations. If you can avoid making committing code violations, then the electricity you install will be safer and more effective. Here are some of the most common code violations, and how you can avoid making them. Most of the time, you’ll protect outdoor electrical receptacles with flat covers when you’re not using them. When you are using the receptacle, however, you’ll want to protect it with bubble covers. Bubble covers will help protect the receptacle all the time. If the receptacle is in a wet or damp area (those areas are carefully-defined by the national electrical code), have an in-use cover. The national electric code also requires all 15- and 20-amp receptacles outside to be rated as weather and tamper-resistant. You need to make sure you (or someone from Early Bird – hint, hint) can access your service panel easily. Clear the area around your service panel and make sure it’s easy to work around. The code says the clear area around your panel must be at least 30” wide, 3 feet deep, and 6 feet, 8” high. Any less space than that makes working on the panel uncomfortable, difficult, or even dangerous. Experts need to access your service panel to perform maintenance. It’s important to make it as accessible as possible. Electronic switches are always, always using at least a little electricity, so all switch locations need a neutral wire. Follow code and make sure there’s a neutral wire in the box. Underground metal water piping used to be the best grounding electrode, but today most underground water piping is plastic. For new construction, you’ll want to use the rebar in new concrete as your primary grounding electrode. In order to use rebar as your ground, you’ll have to coordinate between the people pouring the concrete and the people installing the electrical. You won’t be able to access the rebar after you’ve poured the concrete! Tamper-resistant receptacles protect kids from sticking something like a paperclip into an outlet. We wrote a whole blog about them! Code says you need them for all locations, indoors and out. The National Electric Safety Code hates extension cords because they start fires and trip people. In order to avoid the extension cords, the code says you should install enough receptacles so any 6 foot appliance cord can reach an outlet. Oh, and the cord can’t go across a passageway. That would make it a tripping hazard, too. Circuit breakers protect your writing and appliances. Make sure you choose the right one. Standard circuit breakers protect wiring and equipment, but they’re not great at preventing fires and protecting people. Code says you need to use Ground Fault Circuit Interrupters (GFCIs) or Arc Fault Circuit Interrupters (AFCIs). Use GFCIs in bathrooms, kitchens, outdoor areas, and anywhere else that’s particularly humid. To follow code, you’ll also need GFCIs in garages, crawl spaces, unfinished basements, wet bars, and sump pumps. It’s not enough just to have GFCIs, either. You’ll also have to install them correctly. Install GFCIs in accessible areas where you could easily reset them if they ever break the current. The code requires Arc Fault Circuit Interrupters (AFCI) in all living areas. AFCIs detect arcing conditions, like frayed lamp cords. Standard circuit breakers won’t detect an arc until after a fire starts. The code says you have to have AFCI protection for all new construction. You also need AFCI protection anywhere branch-circuit wiring is modified, replaced or extended into existing homes. These are the most common “violations of code.” Chances are, you’re guilty of one or even a couple of them. Almost everyone is! There’s something about being a human being that makes many of us bristle at being told what to do. Especially if we think the rules don’t make sense. The thing is, the National Electrical Safety Code actually does make sense. A group of experts created it. Even more experts update, amend, and argue about it constantly. It’s a consensus, which means all of these experts have to agree on it. Basically, it’s a really, really good set of rules–and it’ll help keep you safe. Next time you’re thinking about installing an electrical fixture, we recommend following the code. Or, better yet, hire an expert to help you follow the code correctly. Making sure your electricity is up to code will keep you safe and save you money in the long run. Trust us, it’s always the way to go.